This concert is in aid of St Nicholas Church’s Bell Appeal and promises to be a warm-hearted and festive occasion, replete with carols old and new. The Christmas season is not complete without an evening spent in the musical and convivial company of the Cathedral Singers of Christ Church, their director James Morley Potter, and organist David Bannister. Come and join us for a concert of beloved carols and new discoveries, festive readings, and a glass of wine, in Oxford’s beautiful Cathedral. This year, in ‘Light of the World’, the Singers will focus on the theme of light, including carols and music by Thomas Tallis, Eric Whitacre, and more. Anton Bruckner‘s motets stand as monuments of sacred choral music: expressive, peaceful, yearning, explosive. 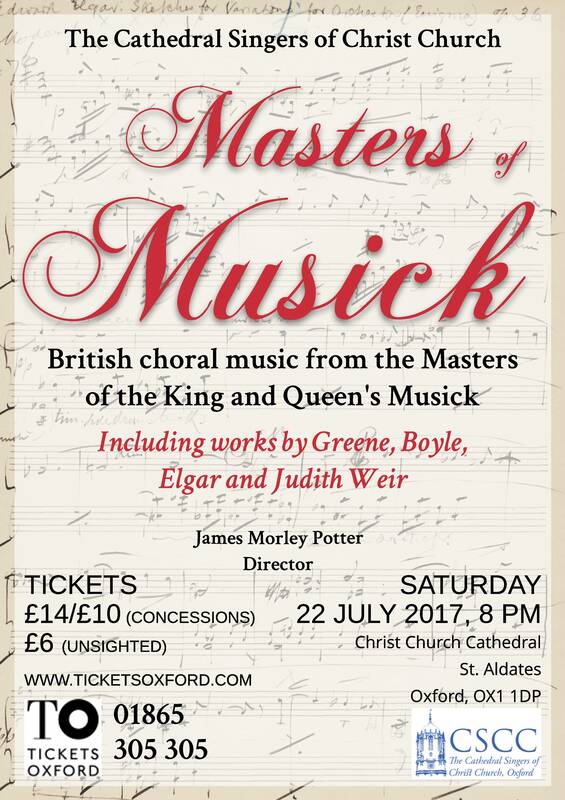 Alongside them sits music by British contemporaries, as well as 20th- and 21st-century choral music. Come and join the Cathedral Singers for this concert, which forms part of the celebrations of their 40th anniversary. Tickets are available from Tickets Oxford and include a glass of wine in the interval. 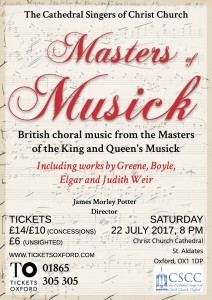 Come and join us for an evening of glorious choral music in the beautiful surroundings of Oxford’s Cathedral. The Cathedral Singers Christmas Concert is always a highlight of the festive season at Christ Church Cathedral. This year will be even more special, as the Singers are joined by Oxybaroxy, the Oxfordshire Youth Baroque Strings, and a quartet of tremendous young soloists, to perform Handel’s uplifting Messiah, under director James Morley Potter. 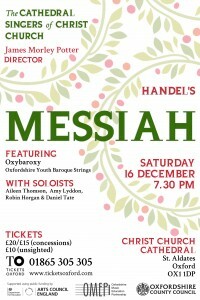 Tickets are available from Tickets Oxford via the following link: https://www.ticketsoxford.com/whats-on/all-shows/handels-messiah-with-oxybaroxy/7213 or 01865 305 305. All seating is unreserved, so please arrive in plenty of time to find a seat. Some tickets may be available on the door. Since the 17th century, certain composers have been honoured with a particular royal privilege: the prestigious position of Master of the King (or Queen)’s Music. 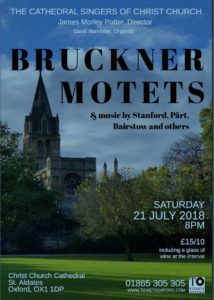 In this concert we will explore the work of the composers appointed to this post, from familiar British musicians such as Edward Elgar, through to the present incumbent, Judith Weir. Along the way we will take in works from the 17th century to the present day, including curiosities from Boyce, Greene, and even a royal consort.